Lake Townsen Preserve | Florida Hikes! 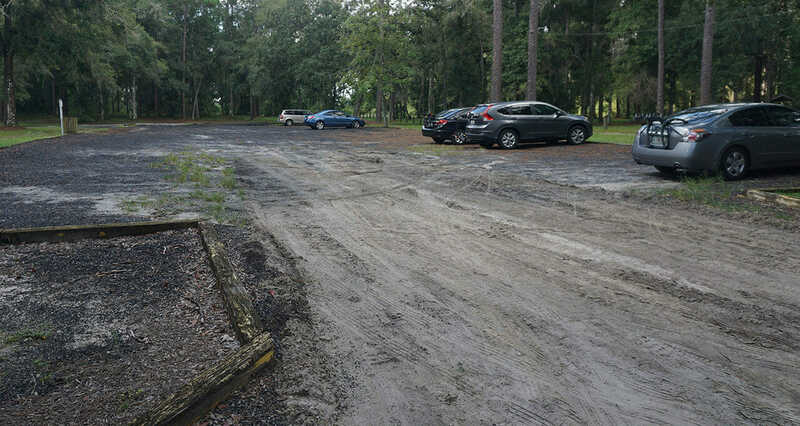 Land Manager: Park facilities, which include picnic shelters and a ballfield, plus access to the river and the Withlacoochee State Trail, are managed by Hernando County. The preserve itself is part of the Environmentally Sensitive Lands program. The entrance to the parking area in the preserve is near the corner of CR 476 (Lake Lindsay Rd) and CR 439 (Lingle Rd) just west of Nobleton. Look for prominent signage. Several additional access points to the uplands section of the preserve can be found along its perimeter, including one along Lake Lindsay Road, but they are primarily for local equestrians, as no parking is provided. 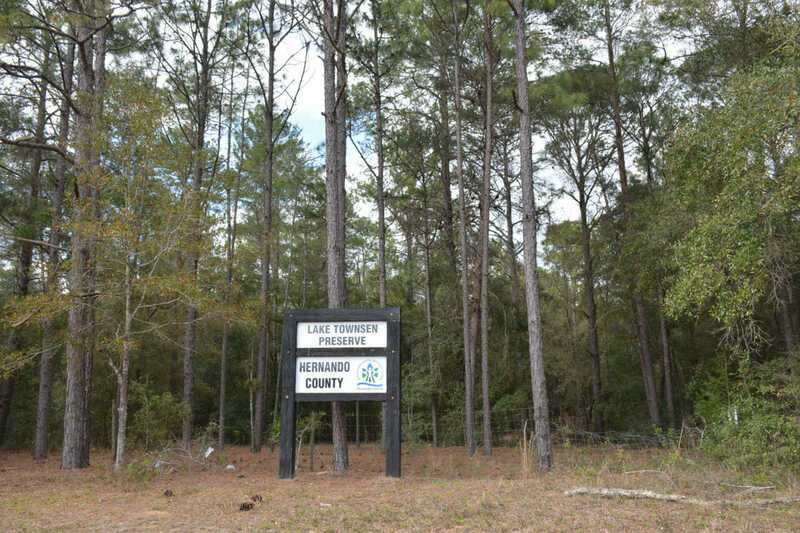 Once part of the sweeping estate of Colonel Robbins of Chinsegut Hill, the forests that make up Lake Townsen Preserve have been conservation land for a long time. Passing from Federal ownership to county management in the 1970s, the 375 acre preserve is mostly natural habitats. 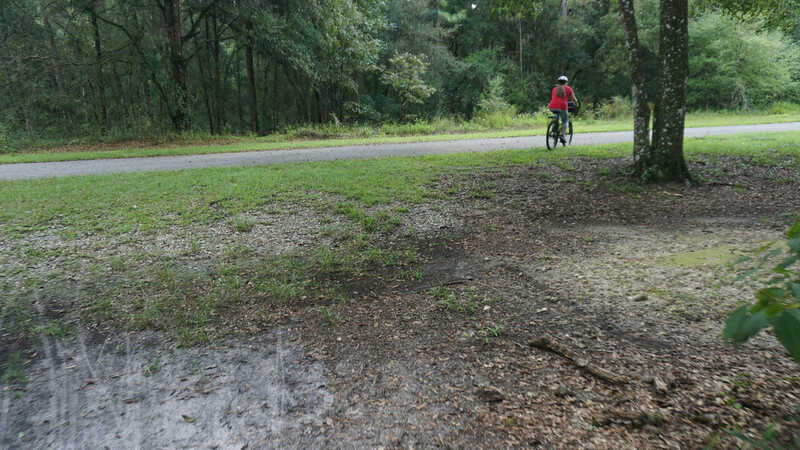 The main exception is Lake Townsen Park, which provides access to the Withlacoochee State Trail. Local residents wanted ballfields and a picnic area, so they raised funds to make that happen. Access to the trail system in the upland sandhill areas west of CR 439 (Lingle Rd) is separate from the main portion of the park where equestrians, bicyclists, and hikers will find plenty of parking. From the parking area, follow the red-blazed woodland trail past the restrooms and around the north side of the ballfield to reach the trail crossing along CR 439. A gap in the fence on the west side of the road leads to a loop trail system with multiple crossover trails. The outer loop is 3 miles. From the trailhead, a balloon loop hike of 4.3 miles is possible. There are 5.3 miles of marked trails – best suited for hikers and equestrians – and about a mile of paved trail along the Withlacoochee State Trail. Unmarked trails lead down to Lake Townsend, a broad spot in the Withlacoochee River.